HOME日本的share house情報最新消息&部落格活動情報90 Zombies appeared !!! 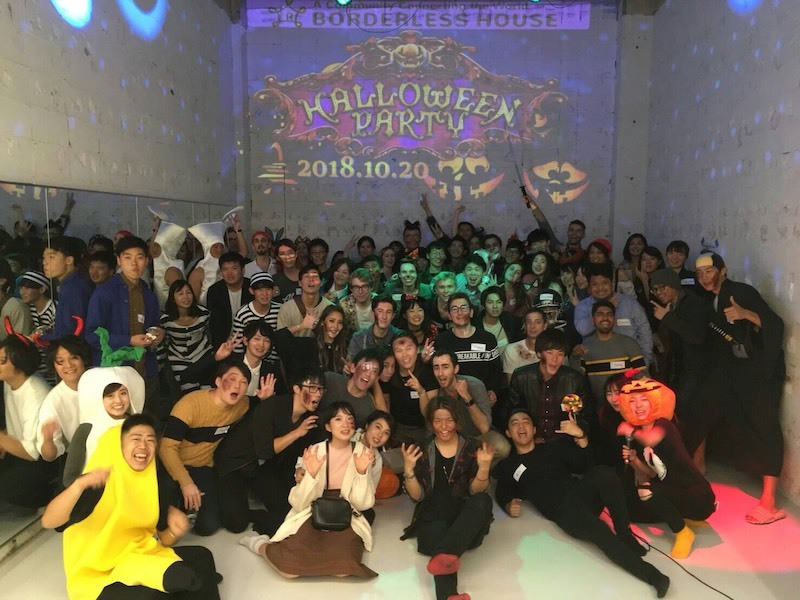 Borderless House Presents :International Exchange Halloween Party !! Hello everybody!! 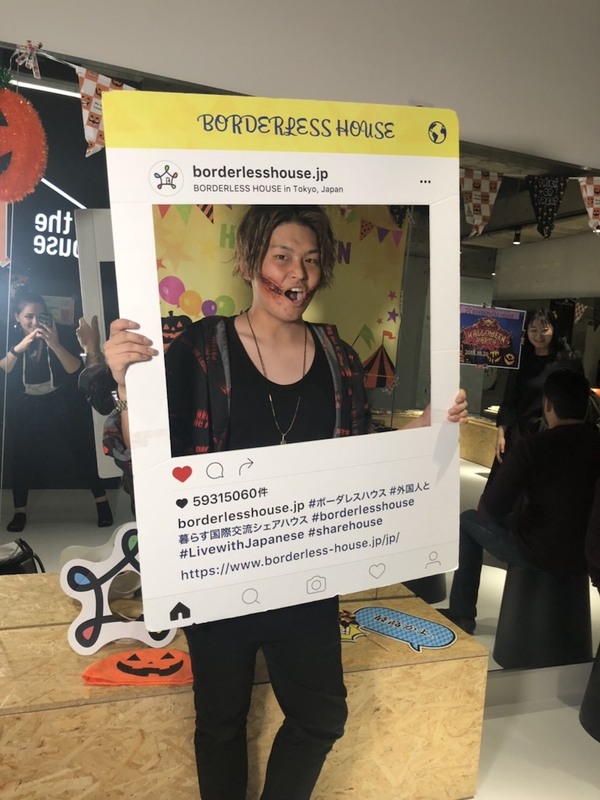 This is Yuya as House manager at Borderless House. It is the Halloween season from last saturday, people are celebrating Halloween !! Off course, we are not missing this BIG event. Guess what!! 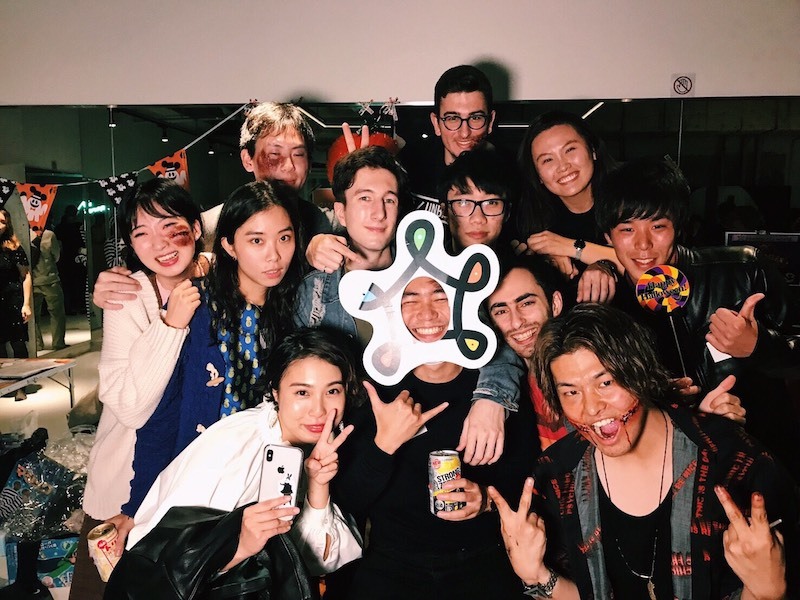 We held Borderless Halloween Party last week !! 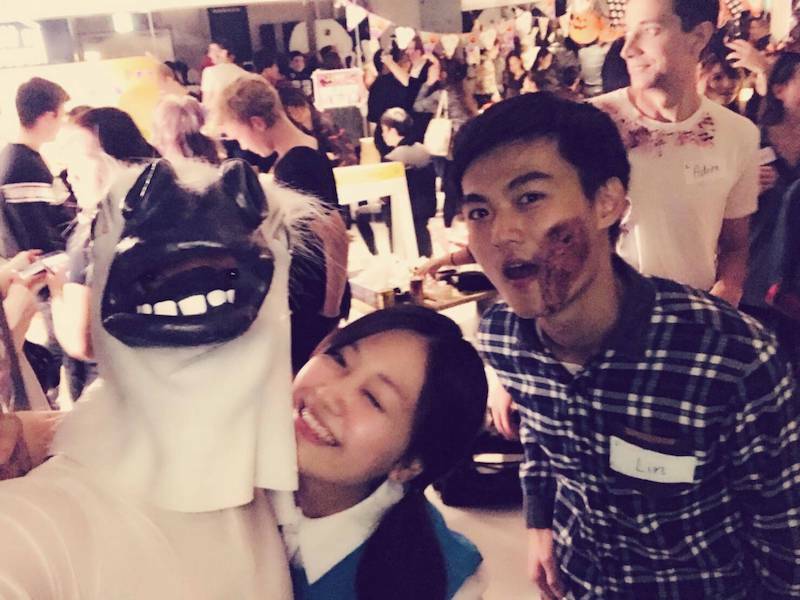 Today, we are going to tell you about Borderless House Halloween Party. 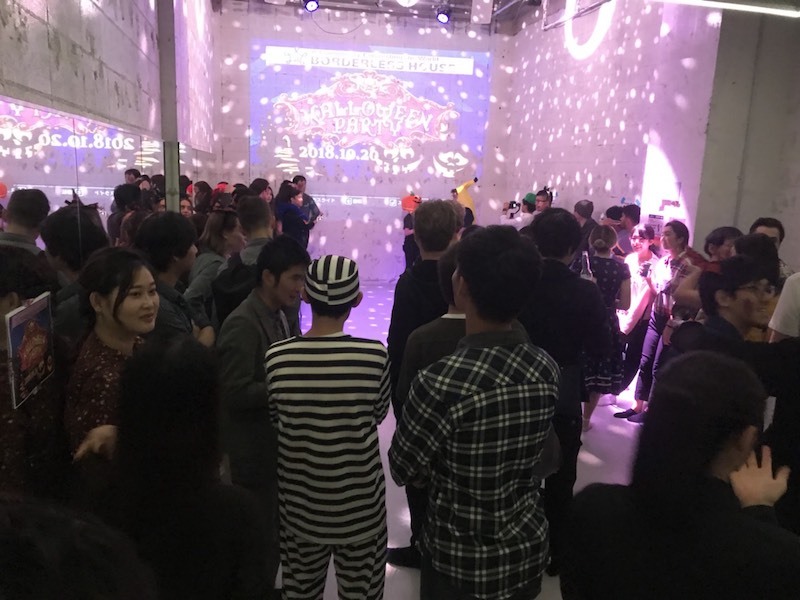 It has been 2 years since we had a Halloween event, so we rent the special place called 『in the house 』to have private event!! 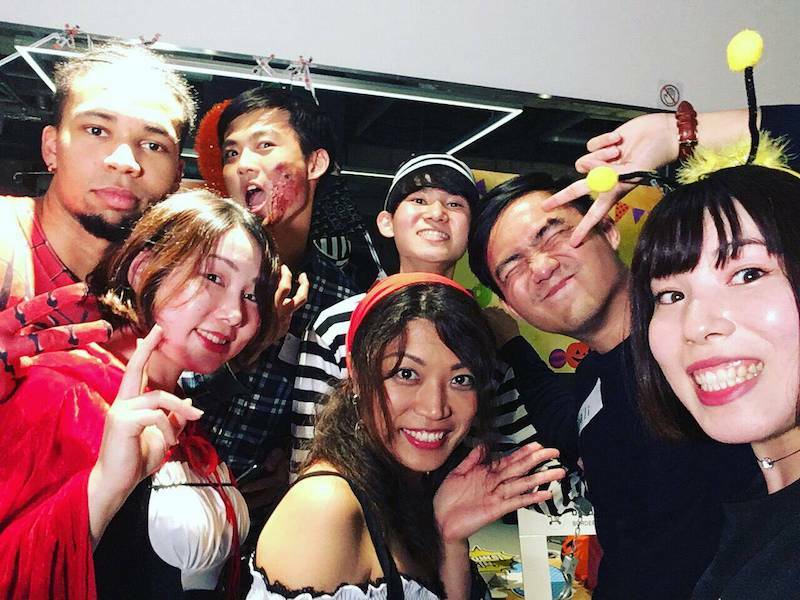 There were 90 people from 22 countries joined the Halloween Party including the staffs. 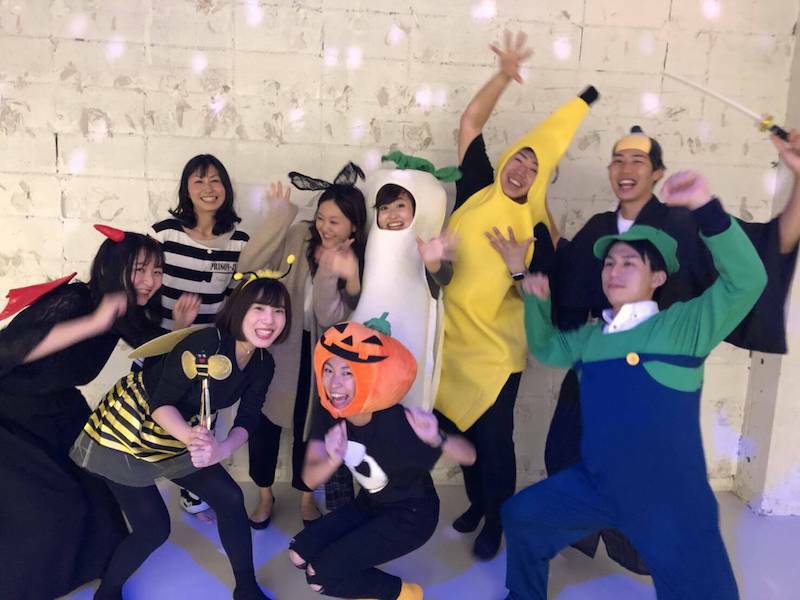 Also our staff wore the Halloween costume, but the tenants were wearing much nicer costumes!! They are so into the Halloween!! The professional make up!! You can be the Halloween look. The make up was done by our tenant!! But something is missing... SO there was not enough fear !!! Halloween is known as the ghost festival, so We can not celebrate Halloween without Zombies . But .... if you look at the corner of the hall, Someone is making zombies and they are increasing so fast !!!! Yes !! 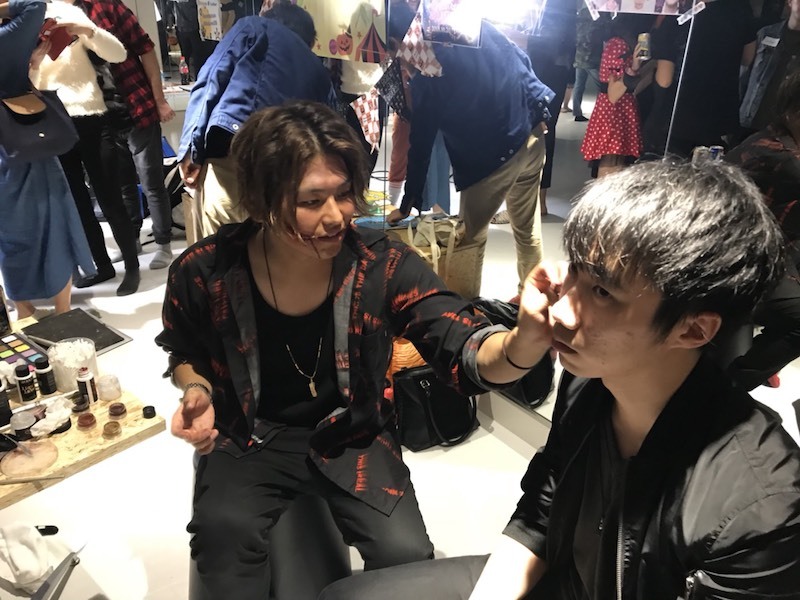 This is the one of the highlight of Halloween Party is make up booth which you can have Halloween makeup on by Make-up artist. Also, this booth is taken care of one of our Borderless House tenants named K kun! He is a hair stylist and also has been doing make up to famous artists. He will be studying abroad to get more skills in this winter. K yeah but it was so much fun staying in Borderless House, I already miss that. I will definitely want to live here when I come back to Japan. Would you like to make last great memory in this event ?? K Halloween Party !? sounds great !! I would do makeup. That is why he was doing make up for us!! You are the best K kun!! And, surprisingly, his Teacher, who is a professional make-up artist came this event from LA!!! She did make up for us for a hour !! 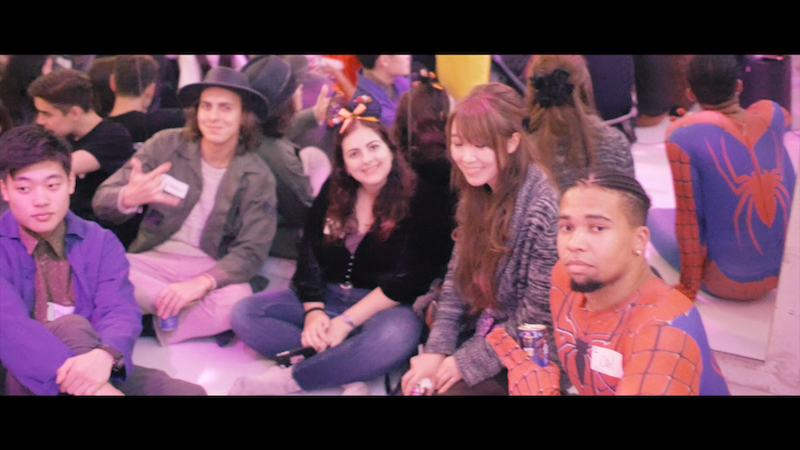 There were a lot of Zombies in this Party. This Halloween event has not only the fancy patty hall or make up booth !! 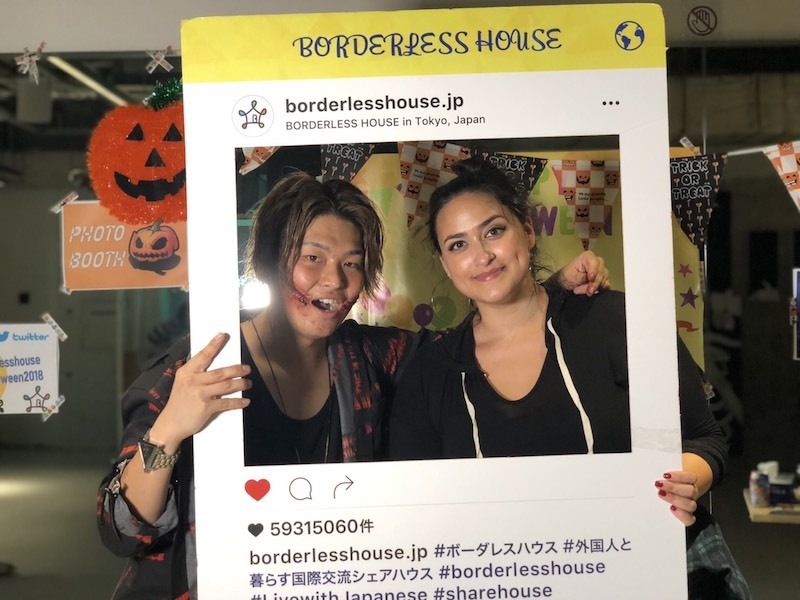 Borderless House is multicultural shared house, so we had some special contents that give you opportunity to talk to other people. Who are your neighbors?? Making Borderless House map and new friends around your house !! The first trick is this !! This game is that we make the event hall as Tokyo map and people try to make Borderless house map there. 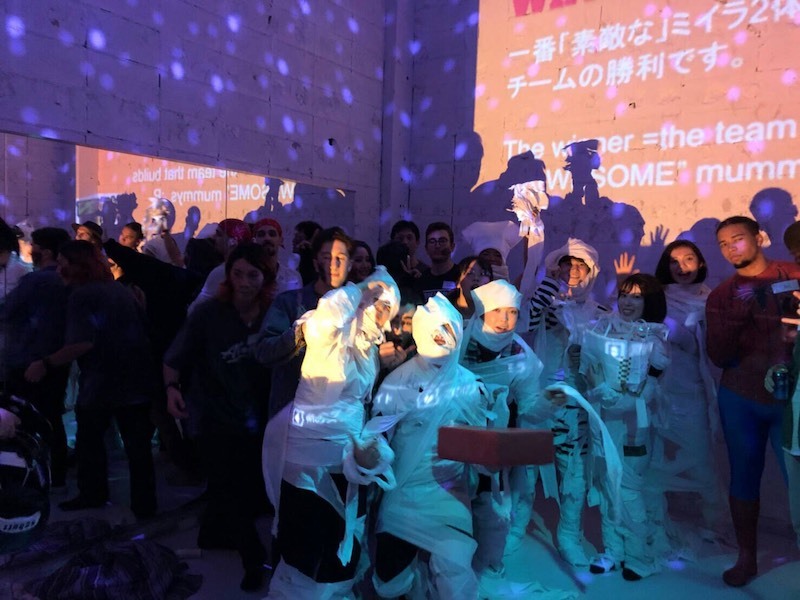 Have you ever wish to have variety of friends and opportunity to make friends around Tokyo ??? This game is the great opportunity to get to know people from other Borderless House and also see which Borderless House they are coming from. The rule is simple!! We gave everyone a name tag which has number on it, so you just look for people who have the same number as you do. At the beginning of the game, everyone was confused about this game, but after telling them that they are neighbors, they were surprised about it. After this game, they try to make next plans with neighbors!!! This is THE Borderless House, right ?? 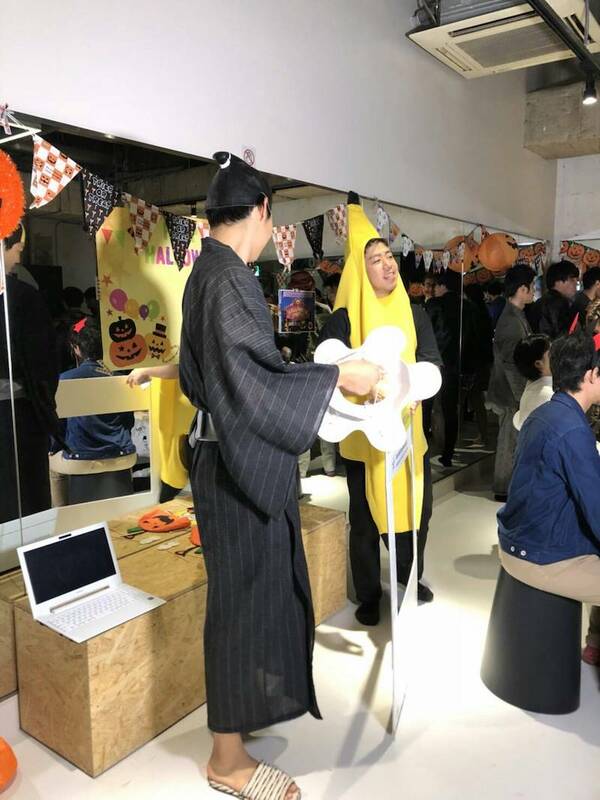 Before we decided to do this game, Staff Takuya who wore Banana costume in Halloween Party said …….. The next contents is this !!! 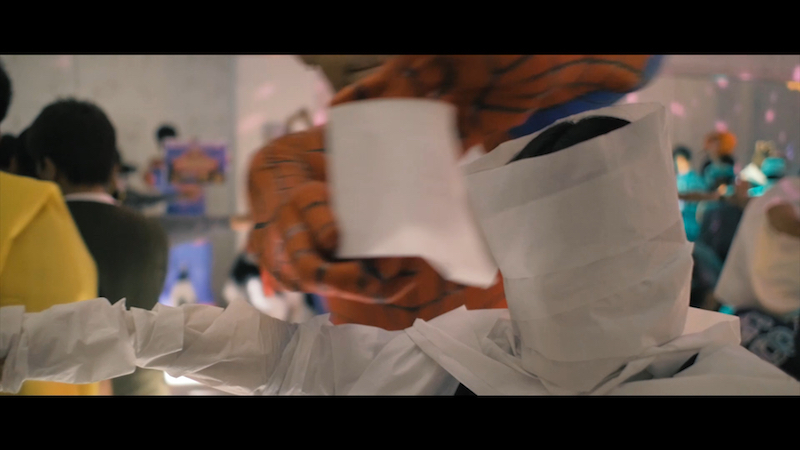 Toilet paper mummy !! The rule : we are making some groups ( each group has 6 people ) and give the 2 toilet paper to the groups. After start sign, you just make mummy !! 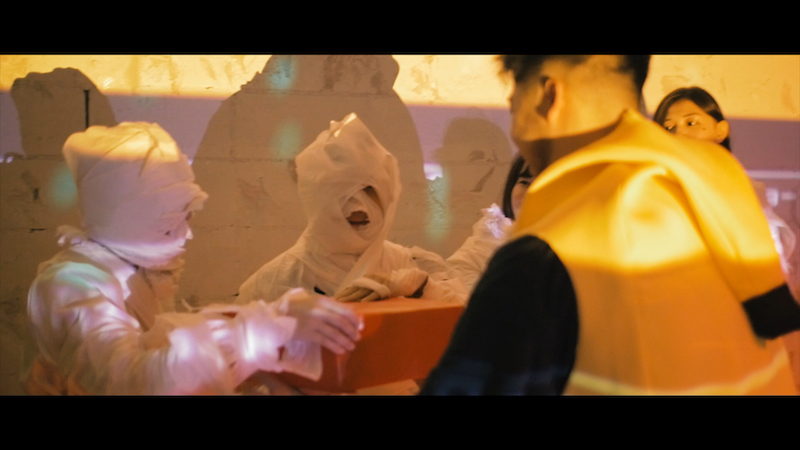 The winner will be the group that makes 2 awesome mummies, and will get the special Prize !! There are people who want to be mummies, and people who want to make mummies. Language is no problem in this game !! All you need is trying to understand people’s mind and good communication with your team. And …… The winner was the group that has staff Riko!!! The annual Borderless House SNS award, we choose the person for this award in this year as well !! This year, we had two SNS prize !! 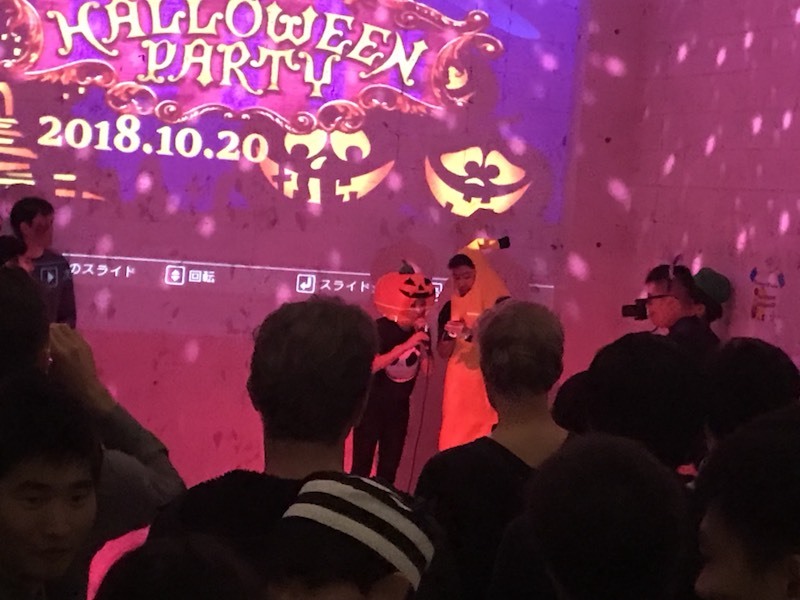 Two is the best dresser prize that the person who wears the greatest costume in Halloween Party. Most like prize will get projector, and the best dresser prize will get StarBucks card !! BUT, Please check out the Borderless Instagram below !! 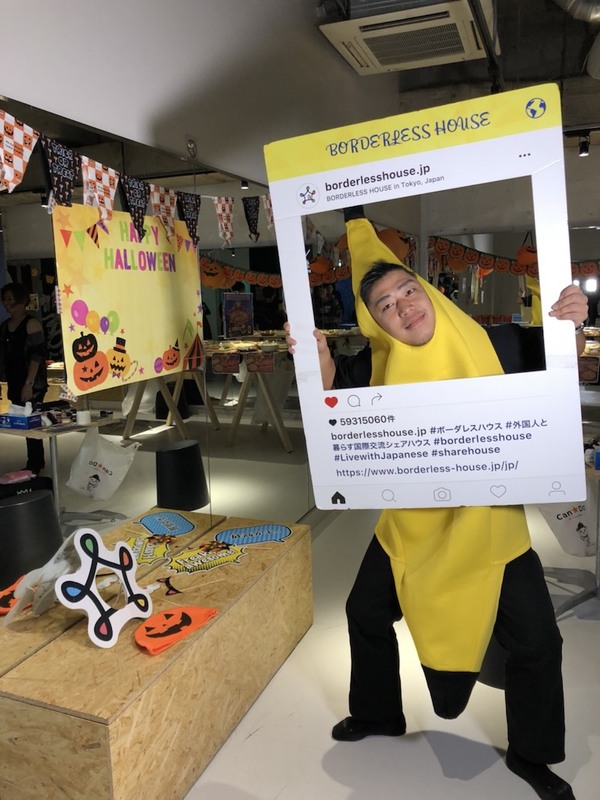 There were also a lot of people who wear great costumes and post photos on Instagram, so please check that out as well !! End of the party, we gathered everybody at the stage and took a group photo !! 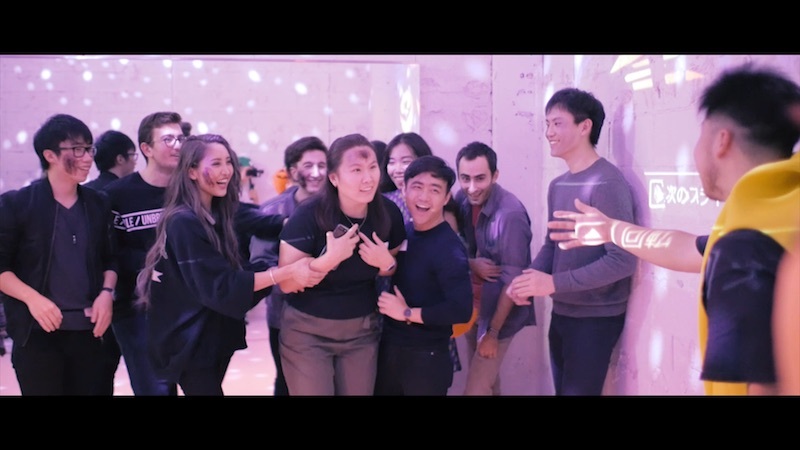 At beginning of the party, people are nervous about getting to know new people, but after the party, they became so close each other !! 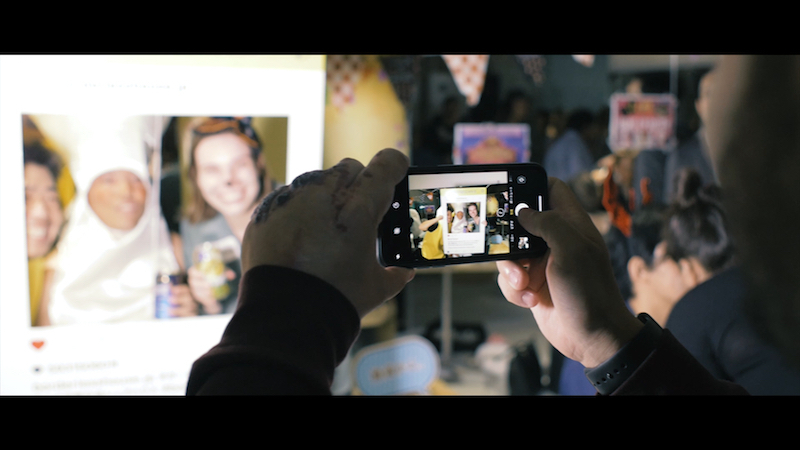 We will have more parties which bring connections between tenants in the future! We assure that you will learn not only language but also Japanese local culture with your Japanese housemates in Borderless House. We are looking forward to meeting you again at Christmas Party !! PS: After party, everybody made plan to go to Izakaya together or their house to continue the party !! THIS is also Borderless House, You can make a lot of friends in Borderless House event after ! !